As determined as I felt on Monday to make this week my best, I had a setback that night when a cold flared up and I lost lots of sleep. I felt miserable on Tuesday morning. So bad that I called out sick. This time, I couldn’t gather up the energy to get to work. Once my head hit the pillow, after calling out, the head congestion returned in full force. I felt miserable for most of Tuesday morning. Finally, by the afternoon, things started looking up. I even thought about going on my scheduled run that evening. It was a hot day here in Los Angeles. So, my run would have to be in the evening. While I waited, I started on a new playlist for myself. The 9.5 mile long run I finished two Sundays ago made me realize I needed a longer playlist. That thought hit me once my playlist looped back to the top. Working on the playlist was a happy time for me on Tuesday. I LOVE music and arranging it in a way that will help keep me going on those long training runs. I took this opportunity to add a few songs that I hadn’t digitized yet and bought some others off iTunes. Two of the songs I purchased were previously highlighted on this blog (I’m on a Roll by Stephano and Overcomer by Mandisa). When I typed in “Overcomer” to purchase it, I discovered this song and just had to get it..
It’s the second song on the list that I’ll be using on my 11 mile journey this coming Sunday. I love this song because it’s just such a happy song. For this non-morning person, it seemed like a good one. Plus, it has tobyMac in it. One lyric that I really like from Toby is “Give like a half marathon…” Hmmm. How appropriate. Right? Anyways, putting together a 3 hour play list took up the whole afternoon and had me in a really good mood. You see, music has been and will always be a huge passion of mine. As I’ve been going through this training plan, it’s struck me how similar preparing for a long distance run and preparing to perform in a music concert is to each other. In what seems like another life, I dreamed of performing in a symphony orchestra professionally as a trumpet player. My family has a lot of music running through it. My uncle writes the background music for television shows and movies. One of my cousins is an independent recording artist whose music has been featured in several television shows. Both of my grandmothers sang in their church choirs as has my mother. Then, my dad was a trumpet player up through college. When I found his trumpet in the attic right before my 4th grade year, I fell in love with playing that thing. By then, I had been singing in children’s choir at church and done the piano lesson thing. However, the trumpet was where I felt most at home. In elementary school I did well. So much so that the band director told me after my last concert that he wished he had found a way to feature me in that concert. I was also top chair in my junior high band and later high school. By my sophomore year, I was recognized as the top musician in school. That year, I also joined the Long Beach Junior Concert band and quickly rose to section leader and featured soloist. My junior year took me to the Los Angeles County High School for the Arts as a music major. It all seemed to be going my way. Music has given me such amazing experiences in life. I was able to travel with a music ministry called the Continental Singers for 4 summers. Those groups went all over the United States (I performed in 47 states) and Bermuda, Austria, Hungary, Romania, Germany, Australia, New Zealand, and Fiji. Later, I found myself as a music major at Azusa Pacific University. The choirs and band traveled as well. I got to go up the West Coast several times all the way up to British Columbia, Canada. The University Choir and Orchestra at APU was the featured group. We performed almost every weekend of the school year. We also did at least one recording a year. So, yes, I’ve been apart of several recordings both as a singer and a trumpet player. We were also the honor choir at the Disneyland Candlelight Processional. They were fun times. I have so many amazingly talented friends. Unfortunately for me, being an orchestral trumpet player was not my calling in life. However, I still remember all of the hours I put in each and every week to prepare for performances as a soloist and as part of music groups. When I was in high school, I would practice for literally 4-6 hours every day. That involved everything from the boring scales and technical exercises to perfecting music pieces that went from entirely too difficult to conquered over time. I equate that to doing all of the training runs and the cross training. Sometimes the practice seemed boring and dry. Other times, it was thrilling. As I train to run, I’m experiencing the same. Some runs and gym workouts are boring, frustrating, and hard. Others leave me feeling like I’m on top of the world. Working towards discipline is hard. Discipline comes when you find yourself doing things that you don’t feel like doing at the time just because it needs to be done. Discipline yields results that couldn’t be accomplished without it. That’s what I’m trusting will happen. I’ve still got 6 weeks left after this one before I see the payoff from 18 weeks of training. Whether I hit my time goal of 2 hours 40 minutes or not is yet to be seen. However, time is not the only measure of success for me in this training. Crossing the finishing line is one of those marks. Then, time it took to get there. Then, how I feel afterwards. 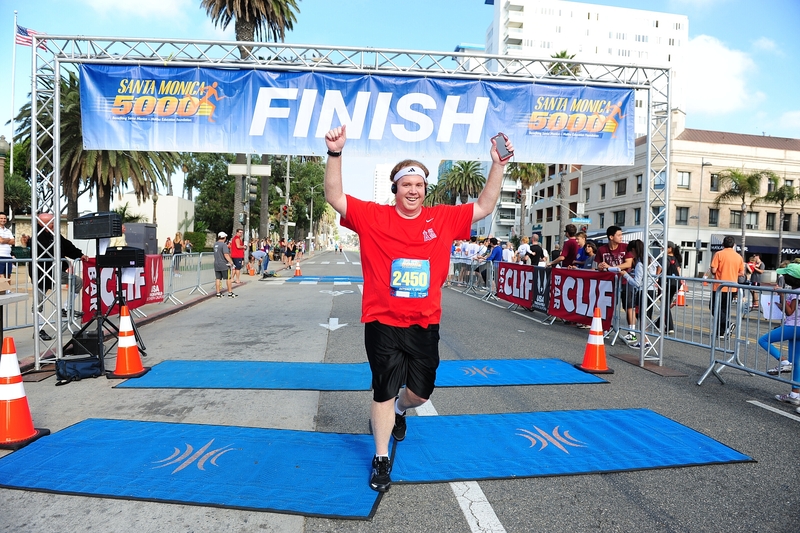 My first half marathon was amazing! My finishing time was not. How I felt an hour after finishing was not. I did not know about how to prevent things like chaffing. I did not know about things like taking an ice bath afterwards helps. 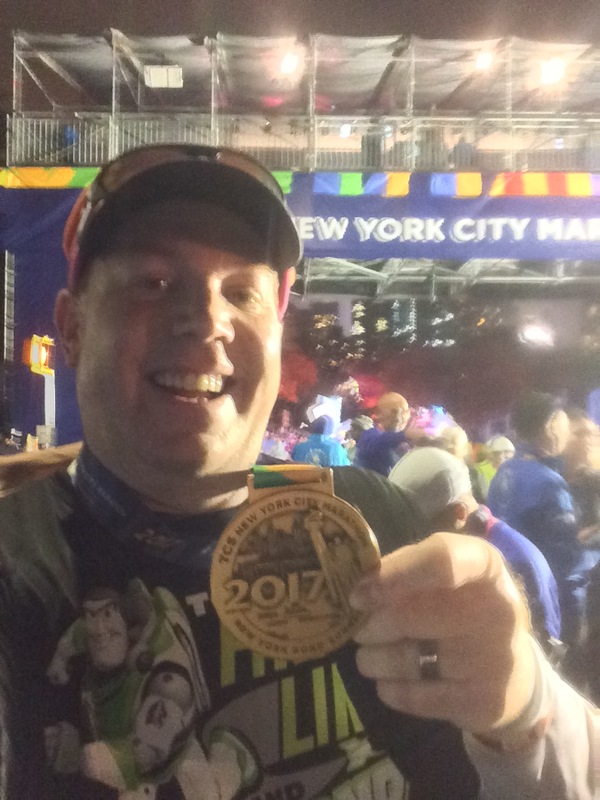 So, in the hours after my first half marathon, I dealt with lots of pain and tiredness that was gone by the next morning. This time around, I’m a little more prepared. My favorite memory from my time as an aspiring professional musician was my audition for Belmont University in Nashville. I picked two trumpet solos that were very different and hard. One piece, the Hindemith Trumpet Sonata was a technical beast. The other piece was slow and gave me the chance to play from the heart. I spent about three months working on those pieces with my trumpet teacher. He guided me in how to prepare. As the weeks went along, I found great victory when I was able to master the technical difficulties of the Hindemith. Then, came the part of combining the technical mastery and musicality that separates someone who can merely play notes on a page to someone who makes music. By the time I got to Nashville, I was completely ready to go. My confidence was at an all-time high. The night before, I took to the practice rooms for a last-minute tune up. I was ready to go. The day of the audition was perfect. I walked into the room and knew I could show the people judging me all I had. The audition went perfect! I couldn’t have imagined a better audition. Three months of boring scales, feeling overwhelmed by my mistakes, wanting to throw my trumpet at the wall because it just wouldn’t cooperate with me, getting to the point where I could start making music, and finally arriving at a place where I was technically proficient and communicating something from deep down in my soul was all worth it. 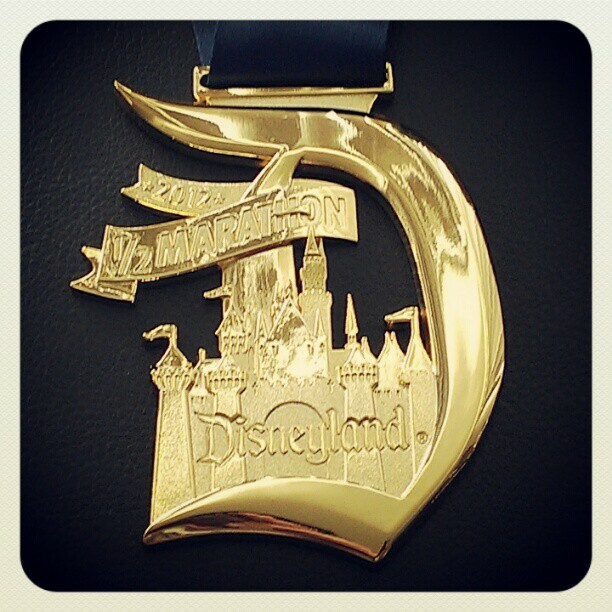 I’m trusting that the Disneyland Half Marathon will be that moment for me in my running journey.